The Archon amplifier was introduced by PRS Guitars in 2013 and has enjoyed a great reception from artists, dealers, and players alike. 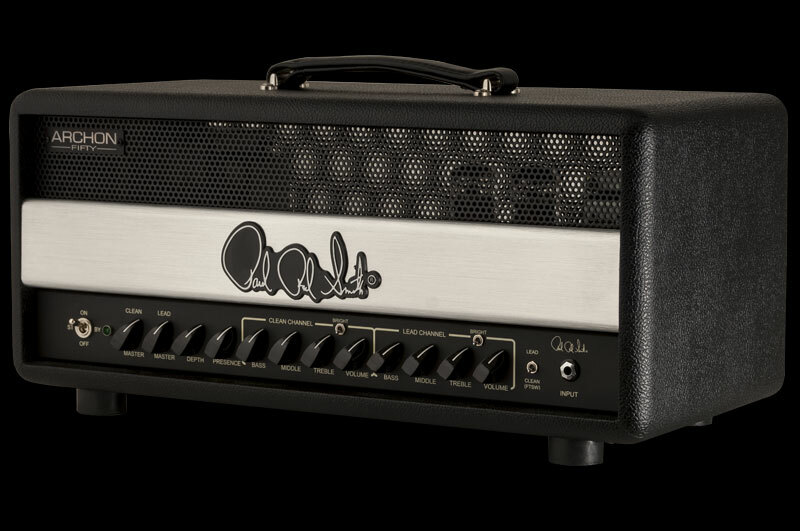 The 100 watt, high gain amp head offered musicians a new tool that could achieve lush, bone-crushing gain while providing an exceptional clean channel not normally found on amps with so much crunch. A new 50 watt version (with a half-power switch and some notable configuration options) is now available and opens up the Archon’s articulate, modern platform to players of all genres. Keeping the original Archon’s lush gain and remarkable clean channel, the Archon 50/25 continues the Archon’s promise of delivering full, lush gain while offering a clean channel that players of all genres will appreciate. 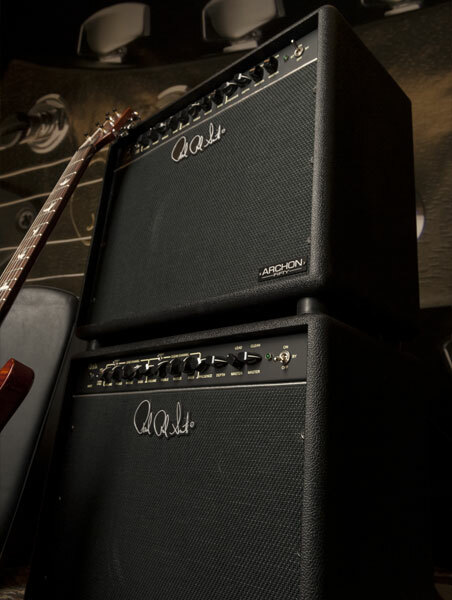 With 50 watts, switchable to 25 via the amp’s back panel, the Archon 50 breaks up at a lower volume, resulting in a more classically driven tone than its predecessor. The added option of 6L6 or EL34 power tubes allows players to further personalize the tone and feel of the Archon 50/25. 6L6 tubes offer plenty of versatility and warmer, more balanced tone across the full range of frequencies. They will also push with less saturation for a bit of a sweeter, smoother tone. EL34 tubes offer focused, tight, punchy gain. They run a little hotter, distort earlier, and deliver a wider range of overdriven, crunch tones that are great for rock distortion. Now offered as a head or a 1×12 combo, the Archon 50/25 can back players from metal to rock to country to blues.